We are determined to start a garden this year and we just received our Burpee seed catalog. 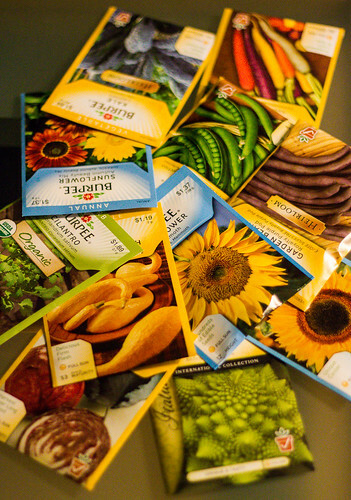 So many choices, thumbing through it this weekend trying to decide what to plant. there are a seemingly endless amount of choices. I just got another pile of seeds. I might have too much now. lol. good luck with your garden!